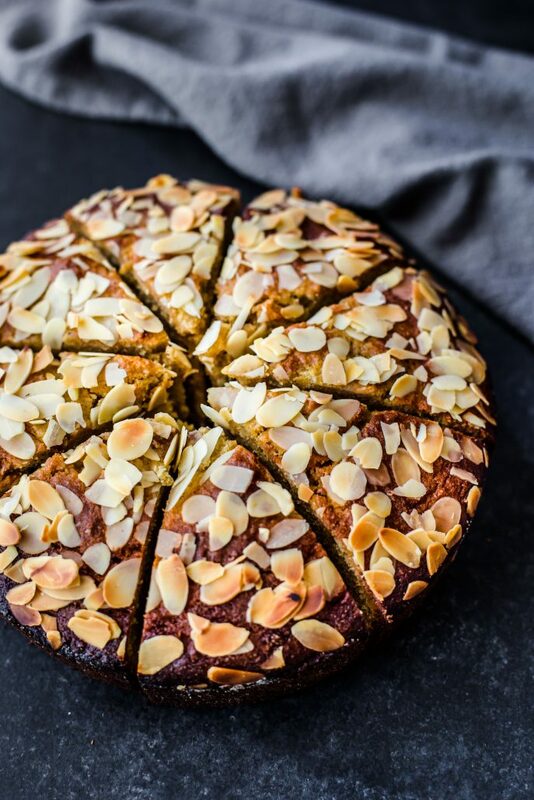 Pear + Almond Cake! A glorious cake for your senses! I just love cake, don’t you? Especially the traditional kinds of cake. 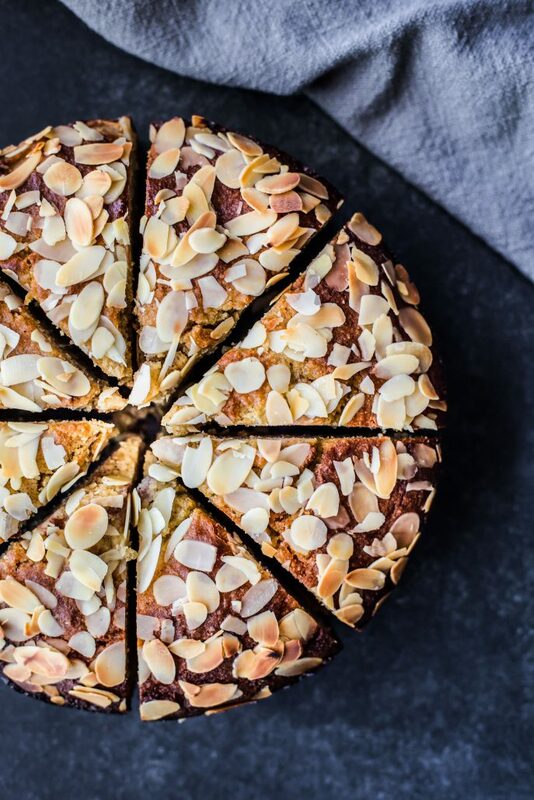 Although it’s somewhat modern, being it’s gluten free and dairy free, it will still take you back to your favourite baking days with your grandmother! Or at least it does for me! I had quite a few pears on hand which I needed to make something with otherwise we all know how fast pears and go off! So I decided to bake a pear cake! What pairs better with pears? Almond! Ok, that was quite the tongue twister wasn’t it! 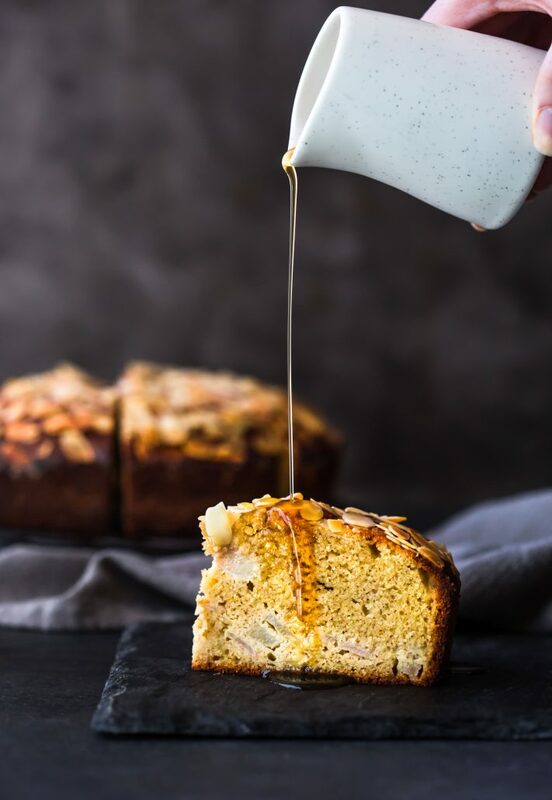 The texture of this cake is just beautiful, the bursts of those pear slices is wonderful and a drizzling of maple syrup is absolutely delicious! Have I got your attention? Enjoy! Preheat oven to 180°C (350°F). Line a 9-inch round cake tin with parchment paper, set aside. In the bowl of a stand mixer with the paddle attached or a large mixing bowl using a hand beater, add eggs, sugar and vanilla. Beat on medium speed for 5 minutes or until pale and thick. Add lemon zest and oil, beat until just combined. Add almond meal and sift over flour, baking powder, cinnamon, ginger, all spice and salt. Gently fold until well combined, ensuring not to over-mix. Fold through pear slices. Pour batter into lined cake tin. 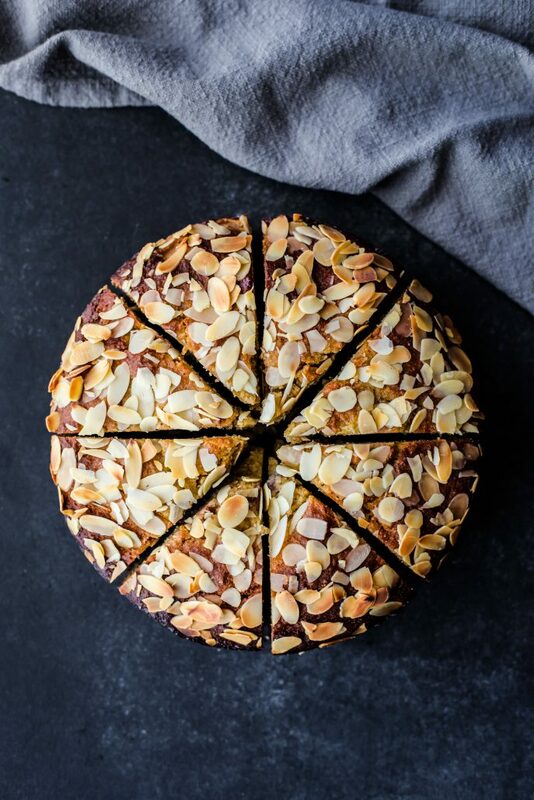 Scatter over flaked almonds. Bake for 55-60 minutes for until a skewer inserted into the middle comes out clean. Remove from tin and transfer to a wire rack to cool completely. 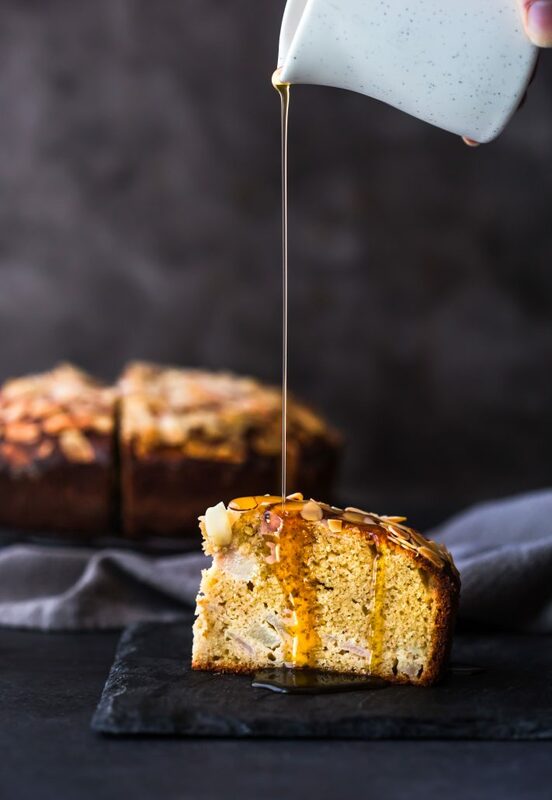 Slice, serve, drizzle over maple syrup and enjoy! Sounds lovely, can you use normal caster sugar?